Visit Teguise Market from Playa Blanca. Book for a bus to pick up at Playa Blanca and drop you off at the Sunday Teguise Market with Excursionslanzarote.com. 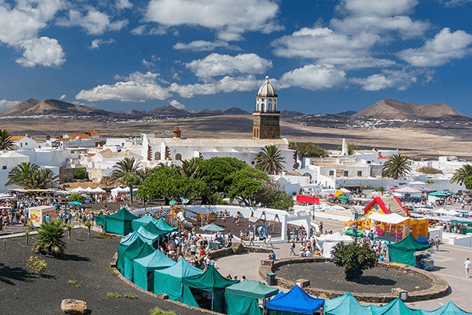 Teguise Market is the most established and oldest open air markets in Lanzarote and is in the village of Teguise. 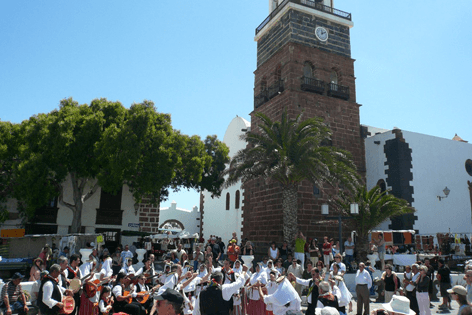 Every Sunday the village of Teguise comes alive with streets full of fantastic products, even the church closes for this weekly event. 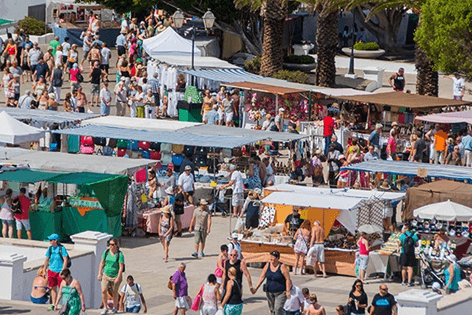 With over 300 stalls covering the entire village, Spanish and African stalls selling everything from handcrafted local products, Canarian food, aloe vera products and souvenirs. Enjoy the live Canarian music, street artists and performers and enjoy some traditional food and wine at the many food stalls and coffee shops. Have a quiet walk in the old capital city, since the teguise market is huge and the various stalls lined up along the cobbled and winding streets have an unmatched and lively atmosphere of a bustling market. While you browse and bargain for gifts like clothes, arts and crafts, bags, watches, jewellery and more for your loved ones, the aromas of great food are sure to make your mouth water!! Immerse yourself in the colourful and charming aura of the Teguise market to fully enjoy the experience. While you stroll through the old lanes, admire the architecture of the local buildings, you will also be surprised to find local live folk music being played with traditional dancers in backyards, so keep your eyes peeled for some authentic entertainment. Always better to get here early to beat the rush and give you a couple of hours to browse and shop. With transports on our air conditioned coach we will assure we get you there and more importantly get you back again, since the local bus stop has huge queues. 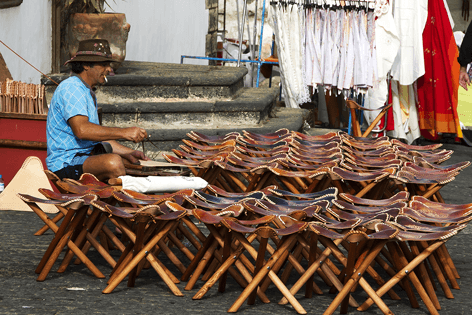 The best value and most comfortable way to experience an ideal Sunday morning at the Teguise Market from Playa Blanca. 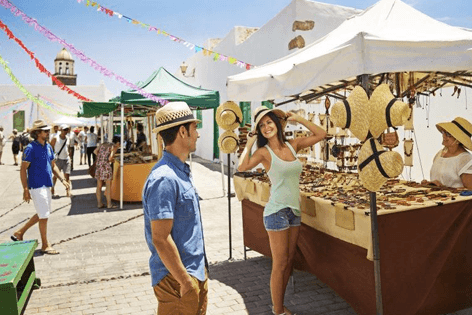 Moving around the island is quick and easy, so you can do another market visit, to the famous Teguise Market from Playa Blanca or to Teguise market from Puerto del Carmen or Teguise and enjoy what you most love doing SHOPPING!!! !